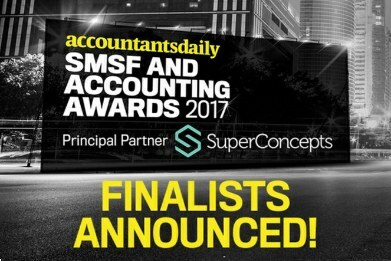 Accountants Daily, together with SuperConcepts, is pleased to announce the finalists for the inaugural SMSF and Accounting Awards. The SMSF and Accounting Awards is a new initiative which has been launched to recognise SMSF and accounting professionals in their home state. “Congratulations to those professionals who are focused on delivering exceptional services in the local markets,” said head of partnerships at Accountants Daily, Terry Braithwaite. For a complete and state-by-state breakdown of the finalists, please click here. The winners will be announced at a gala dinner in their home state. For more information, please click here.